Several years ago when Isabel Anders and I were working on Chant of Death, a mystery based in a Benedictine Abbey in south Louisiana, we simultaneously listened to recordings of Gregorian chants while doing the writing. 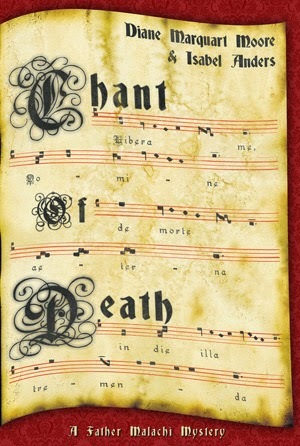 Gary Entsminger and Susan Elliott, co-publishers of Pinyon Publishing in Montrose, Colorado, who had issued a contract for Chant of Death, also began to listen to recordings of Gregorian chants when they prepared the book for publication. The four of us developed something called "collective intention" about this particular novel. Isabel and I have always said that Chant wrote itself, and we completed it within six months. Chant contains many allusions to Gregorian chant, to monastic life and metaphysical ideas, and it's an exploration of both the holy and the profane in a tightly-knit mystery of 146 pages. Last week-end, I attended a silent retreat entitled "Praying the Psalms," sponsored by the Sisters of St. Mary at Sewanee and featuring Sr. Madeline Mary and The Rev. Suzanne Warner as leaders of meditations on the Psalms, including those that we chanted at Morning and Evening Prayer each day. I was again introduced to Gregorian chant, especially those based on Psalms included in the Office of Morning Prayer in the Anglican Book of Common Prayer. These Psalms that we chanted had also been chanted by Benedict's monks and had been prescribed by Benedict to educate monks about leading a holy life and to show them how the Gregorian chants inspired connections with God. One of the articles distributed by Sr. Madeline Mary during this retreat was an article entitled "On Good Health and Gregorian Chant" that featured an interview with a famous French Audiologist named Dr. Alfred Tomatis, and which was the core of a CBC Radio Documentary called "Chant." It was later broadcast on NPR in the United States. The article had been taken from the bulletin of Our Lady of Mount Carmel Latin Mass Community in Littleton, Colorado. The interview tells the story of the head of a monastery in France, an abbot who had changed the Benedictine Rule to exclude chanting from the monks' daily schedule, an elimination of six to eight hours in their daily activities. Curiously, after the abbot excluded the chants, the monks began to complain of tiredness, and medical specialists were called in to treat them. 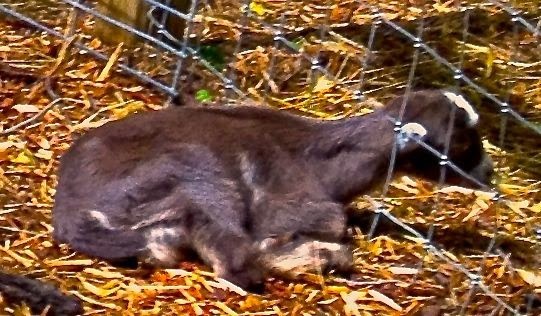 Various treatments were explored, including that of adding meat to their normally vegetarian diets because they were told they were dying of starvation. Seventy of ninety monks had begun slumping in their cells and seemed devoid of energy. The addition of meat to the diets of the tired monks had no effect on them, and they continued to suffer from the curious lassitude. The abbot called in Dr. Tomatis, the French audiologist, and he treated the monks with sound only, primarily Gregorian chants, explaining that the chants, when sung in Latin, follow a relaxed physiological rhythm that is described as "pure," affect the cortex of the brain, and provide the channel for perfect listening to a higher power. The audiologist played the music of Mozart and Gregorian chants from the Abbey of Solemes, particularly the dawn and midnight masses for Christmas, and within months, the re-introduction of the chants in Latin had revived the health and energy of the French monks. The article also revealed that Menninger's Clinic in Topeka, Kansan uses Gregorian chant to help their patients recover. This is a very brief resume of the interview with Dr. Tomatis regarding the relationship of Gregorian chant and good health, but the results resonated with the ideas that Isabel, Gary, Susan, and I had about playing Gregorian chant music to inspire the writing of Chant of Death. I remember the time as a highly energized period in which the creative process was heightened by ethereal stimuli and resulted in Chant, a book that Isabel and I still regard as a "mystical mystery." 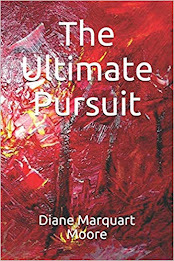 In Editor Gary Entsminger's message to readers of the latest issue of the Pinyon Review, he quotes Aristotle: "Every art and every investigation, and likewise every practical pursuit or undertaking, seems to aim at some good; hence it has been well said that the Good is that at which all things aim." To this quotation in his editorial, "Fool on the Hill," Entsminger later adds, "the work of many great writers sometimes waited a generation or more to entice. But we all have the satisfaction of knowing that originality—whether in music, art, or writing—trumps any other play." This fifth issue of the Pinyon Review displays a diversity of styles in art and writing and features the work of poets, writers, and artists that offers readers a glimpse of originality in those who choose to follow their play impulse. The issue also includes a poem by editor Entsminger that shows an innovative approach to composing lyrics similar to that of e. e. cummings, one of the most inventive American poets of the 20th century. The poem, entitled "Dream Tracking," is a call and response type poem between two lovers that begins with "the first green-tailed towhee...beneath the window..." and ends with the memorable lines "she: everything impresses memory/he: expressing everything else." It's a unique poem that invites a reader to take a second look and as I said, reminded me of cummings' provocative lyrics that called for more than one reading. Entsminger, who says he keeps a book of philosophy beside his bed, is committed to reminding folks, via poems and prose, to reconsider how they treat people and other wildlife, and the Pinyon Review, showcases the works of writers and artists who seem to reflect his interest in human behavior, environmental ethics, and his love of the natural world. I counted at least eighteen poets who contributed work that ranged from haiku by Gary Hotham: "warmer coats/the days for vine ripe tomatoes/over" to an eleven-page poem about the natural world entitled "Ouroboros," by David Cravens. And I'm sorry I couldn't review all of the featured writers because the quality of their work is first rate! Poems of the writers who are featured in the Review vary in form and content and comprise the majority of the issue, but I was equally impressed by the artwork of both Susan Elliott, managing editor of Pinyon Publishing, who executed the cover design and the title page of the magazine, and the paintings of John Tomsick. 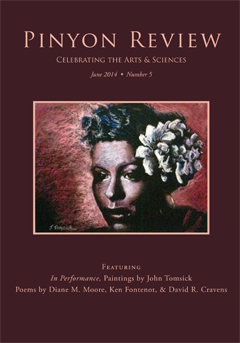 Tomsick's painting of Billie Holiday or "Lady Day," the blues and jazz singer popular during the 1930's -1950's, is featured on the cover of the Review, and his five paintings of jazz performers entitled "In Performance" within the journal will captivate readers and lovers of jazz music. Tomsick experimented with pastel on colored mat board to design five paintings based on photographs of jazz artists in performance. As I'm a progressive jazz fan and an admirer of Miles Davis, I particularly liked the rendering of Davis taken from the Apple poster, Think Different in which Tomsick experimented with vine charcoal to achieve "Miles in Thought." However, I'm equally appreciative of New Orleans jazz and was also drawn to the King Oliver Creole Jazz Band with Louis Armstrong on slide trumpet. The painting featured pianist Lillian Hardin, or "Hot Miss Lil," who was the first woman to be a major jazz instrumentalist and who became the wife of Louis Armstrong. The painting of Louis Armstrong, rendered in color on a black mat, is particularly arresting and shows the musician standing in a meditative pose, eyes closed, holding his beloved trumpet. As Tomsick wrote in the text accompanying the paintings, the pieces have a story to tell, and he invited readers of the Review to explore the stories of these gifted musicians and to listen to their music. I am grateful to Gary Entsminger for featuring three of my poems, which he dubbed the signature poems for the issue, and I agree with him that writing poetry certainly trumps any other form of play. Entsminger noted in his editorial that the work of many great writers sometimes waited a generation or more to entice readers, but he's doing his best to showcase poets and artists he thinks will entice readers and art admirers NOW. Thanks, Gary, from all of us who were given space in the Pinyon Review Number 5. Copies of the Pinyon Review Number 5 are available from Pinyon Publishing, 23847 V66 Trail, Montrose, CO 81403. One of the perks I enjoy from my association with Gary Entsminger, editor and publisher at Pinyon Publishing in Colorado, and from reviewing many of the books of poetry published by this independent press is my introduction to and communication with fellow poets. The latest poet with whom I've been in contact is Stuart Friebert, a generous-spirited man who recently sent me a copy of his newest publication, which is a translation of Puppets in the Wind (Bitter Oleander Press) written by the German poet, Karl Krolow. 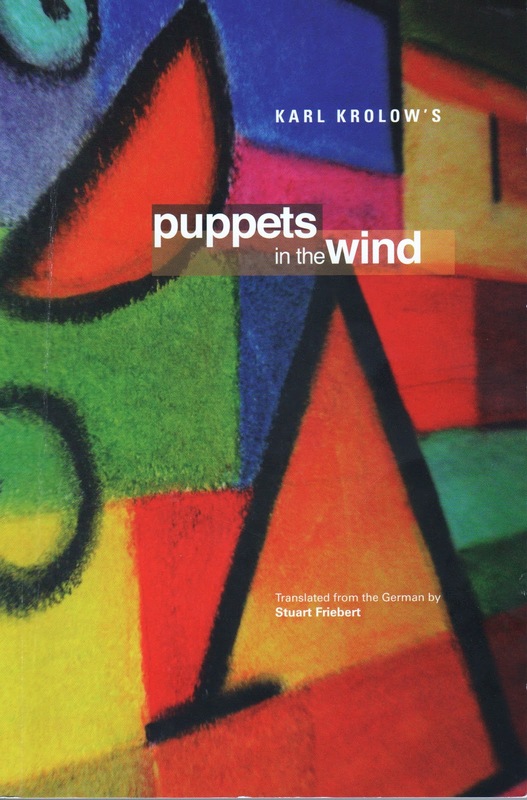 Although the poetry translated in this volume quickly resonated with me, I was equally fascinated with Friebert's introduction to Puppets in the Wind. He describes Krolow as "pursuing translation with as much vigor and dedication as he gave his own work, believing poets could not develop a 'third eye' without devoting considerable attention to the art of translation..." Krolow's concept inspired Friebert to require students at Oberlin College (where he established an outstanding writing program in 1976) to schedule translation workshops. He explains that the students objected to the workshops at first, complaining: "But I came to do my own writing, not someone else's," but they later admitted that translating poets who wrote in other languages enhanced their own work. "One likened it to learning to play the works of masters before composing on one's own," Friebert writes. Friebert taught German language and literature many years at Mt. Holyoke, Harvard, and Oberlin and claims that nothing was more satisfying to him than teaching beginning translators and slipping in German poems that he loved...and, of course, Krolow was among the poets he introduced to his students. After reading Puppets in the Wind, I agree with Friebert that the poems are dark by nature, but they contain just that bit of wryness and irony I appreciate in poets like Charles Simic and Billy Collins (both Pulitzer Prize winners). Friebert writes that Krolow didn't just call on the Muse to please readers, he also wrote for "so-called dead objects, landscapes, cities, gardens, streetcorners, animals...for stones and their pores, for sadness and bodily pain." One of the poems in Puppets in the Wind that illustrates the irony in Krolow's work and also the wry twist that characterizes many of the endings to his poems is entitled "History:"
"Men carried a flag across the square/At which centaurs broke from the underwood/And crushed their cloth underfoot/And history could begin./Melancholy nations/Fell apart on street corners./Orators kept themselves/At the ready with mastiffs,/And the younger women/Painted their faces for the stronger./Without end voices quarreled/In the air, although/The mythological creatures/Had long since withdrawn./Eventually what's left is the hand/That goes around a throat." This is a succinct commentary on the long history of man's inhumanity to man, and readers are jolted into an awareness of the gravity of the human thrust for power and the subsequent bloodshed that afflicts "melancholy nations." that "fell apart on street corners." The image or metaphor that lingers is, of course, "...the hand/That goes around the throat." The poem could be an offspring of Krolow's observations of the destructive Nazi years in Germany. In "True Fall," Krolow alludes to artistic colors in his native Germany, a poem that, again, ends in a surprise wry note: "A forest of copper beeches/burns away Lake Constance/in the usual colors./You have to look quickly,/before the history of Impressionism/fades away." This poem is another example of Krolow's adroitness in creating wry imagery to end a poem with memorable phrasing. These two excerpts from Puppets in the Wind are just the tip of the iceberg, but they should titillate poets to appreciate the process of translation that Friebert admires and exhorts all poets and students of poetry to practice. In fact, he chided me for not learning another language and taking up the art of translation so that I could develop a "third eye." Puppets in the Wind is the third volume of Friebert's translations of Krolow collections and is a notable contribution to Ars Poetica. Copies are available on amazon.com. When most people get an "ahnvee" (Cajun term designating "longing for") for a certain food to eat, they drive down to the supermarket or convenience store, perhaps search out a Farmer's Market nearby to satisfy their ahnvee. However, we've been known to develop a yen for peaches during a summer afternoon in New Iberia, Louisiana and drive four hours to Ruston, Louisiana, arriving after dark to book a room, then getting up at daybreak to search for a fruit stand. A few hours later, we were back on the road with a truckload of peaches, feeling smug because we had gotten our "satisfied." Nowadays, we just pack up and travel over to north Georgia, a little over two hours away from The Mountain at Sewanee, Tennessee, and spend the night and part of the next day searching for peaches near Ellijay, Georgia. This week-end, the ahnvee, which is second cousin to "senescht" (a kind of mystical longing for something and a word closer to nostalgia in meaning) overtook me, and we set out for Jasper, Georgia, a town of approximately 4,000, near Ellijay. I'd never been to Jasper and was skeptical about its attractions, but I was pleasantly surprised to visit one of those small town America sites that was not only near peach suppliers, it offered European fare at the famous Woodbridge Inn and a community theater called the Tater Patch Players that promised a Sunday matinee we decided we couldn't miss. Jasper is the home of marble mines now owned by Polycor that were developed in 1844 by Samuel Tate who mined a rich vein seven miles long and 1/2 mile wide with a depth of 2,000 feet. A mansion in town still attests to the wealth he accrued from marble that has been used to construct the New York Stock Exchange annex, the Lincoln Memorial, the Federal Reserve Bank in Cleveland and other notable buildings in the U.S. 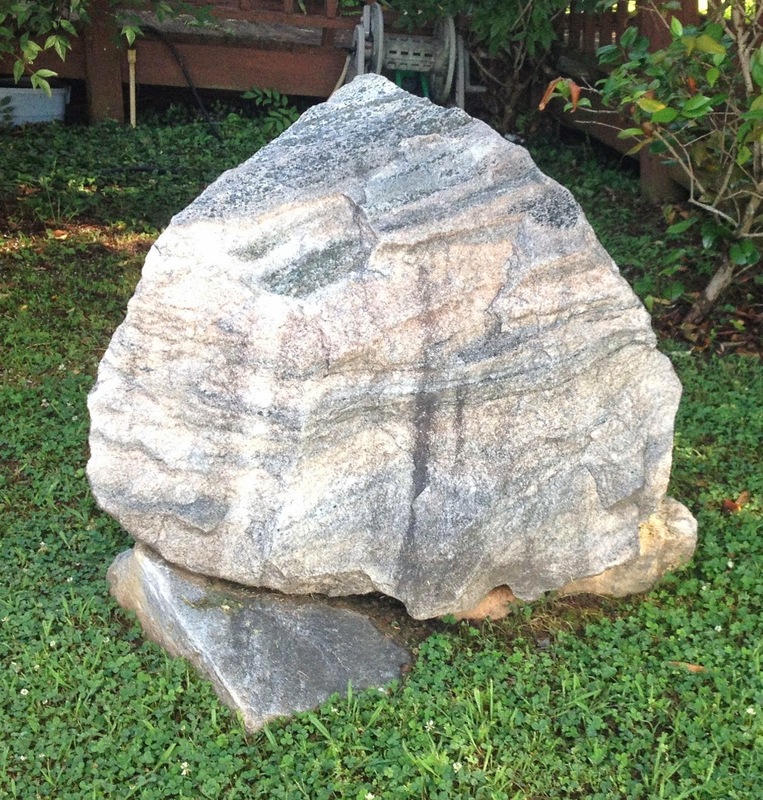 Many of the buildings and places of business in Jasper have a chunk of the beautiful marble in their yards that enhance the beauty of this clean, charming town. The Woodbridge Inn, established in 1880, is situated on a site that was once the place of worship for Cherokee Indians who held prayer sessions at sunrise and viewed Sharptown Mountain while chanting their prayers. The first inn on the site was built in 1844 and offered hospitality to some of the early governors and other government officials. 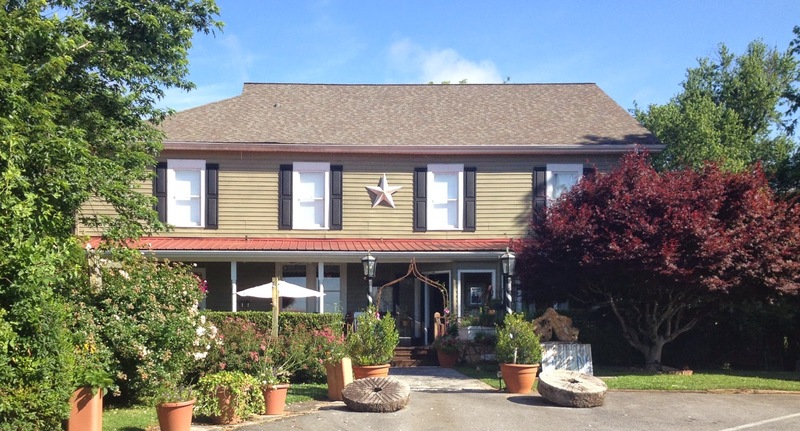 The present Woodbridge Inn was purchased by Joe and Brenda Rueffert in 1976 and has been featured on CNN and the Food Network, in Southern Living and the Atlanta Journal Constitution. Hans Rueffert, the chef, caters to varied appetites, including those of vegans and others who need gluten-free fare. Of German lineage, Hans offers special dishes like Champignon Schnitzel and Kase Spatzle, and we savored the house mustard-tarragon vinaigrette salad dressing. We ate at a table in a dining area near a large picture window that overlooked a herb garden and enjoyed the view, as well as the laughter of satisfied customers dining at two tables in our cozy corner. Although Hans, the chef, has undergone major surgery on his stomach and esophagus, he still enjoys cooking and serving excellent cuisine. In May, he led a tour called "Food and Flowers" to the heart of the Julian Alps, a trip that featured three cooking classes, nature walks, and dinners in Italy, Austria and Slovenia. Near Ellijay, we found peach satisfaction in the R&A Orchards—but the peaches had been shipped from south Georgia since much of the crop in the R&A Orchards hadn't been picked, and some of it had been destroyed during the freeze this winter. The clerk who sold us a basket of the delicious fruit told us that the biggest threat to crops in the area is hail, which is frequently as large as golf balls with spikes in their sides that make holes in the fruit and damage it. Further down the road, back in the boonies, we discovered Mountain Valley Farm Store at the end of a dead-end road in sight of the North Georgia Mountains. The Farm is noted for grass-fed beef and free-range pork (another ahnvee we've had since leaving Cajun country). We spent time outdoors peering at baby goats, a few weeks old, that were frolicking behind a fence—just long enough for me to pick up some barnyard waste on my sandals! According to Jodi Helmer's Farm Fresh Georgia, there are more than 130 farmers' markets in Georgia where vendors sell products they grow, raise and make, and many of the restaurants in the state now offer food from local farms. A plethora of U-picks thrive in the region around Ellijay, and some of them operate on a system that trusts customers to calculate the cost of their pickings and leave their payments in a locked cash box! The matinee of the Tater Patch Players, a hilarious performance of Play On, was the surprise event of the "Ahnvee for Peaches" trip, and we returned to the Mountain with increased appreciation for adventures in Small Town America. "My soul is constituted of thousands of images I cannot erase...I'm a grainy old, often silent, often flickering film," Charles Simic writes in his book, The Monster Loves His Labyrinth: Notebooks. This line spoke to my condition when I began writing my latest book of poetry, available on Amazon in a few days. Departures is the name of this volume, and a few people have asked me if the title indicates I intend to throw away my pen, or computer, as the case may be, and hang up my poetry hat. The answer is "no," as I'm already settled on The Mountain at Sewanee, Tennessee, working on another volume. 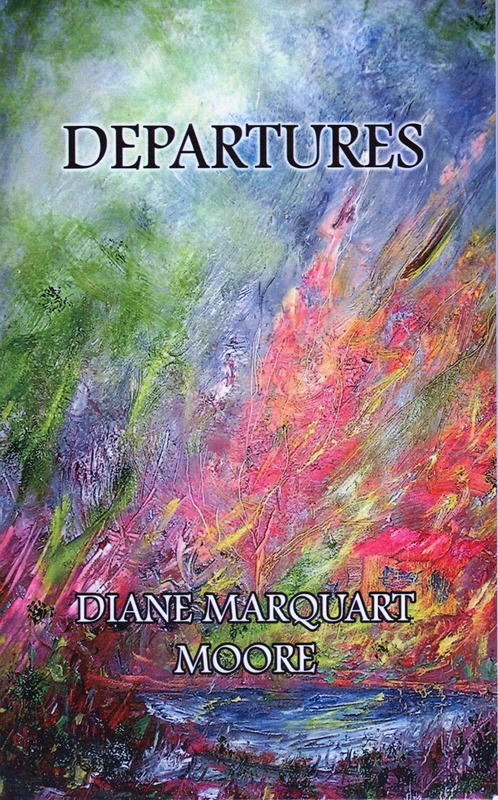 Departures explores the lives and departures of loved ones—parents, siblings, aunts and uncles, grandparents, an infant nephew, memorable teachers, godparents, musicians, an old friend—the faces of people who have passed on and left their imprint on my life...and about whom I often dream. The book is dedicated to my friend and mentor, Darrell Bourque, former Louisiana poet laureate and author of Megan's Guitar and if you abandon me, who read the original manuscript of Departures. I know that I just published a book of essays entitled Porch Posts with Janet Faulk-Gonzales, but Departures has been waiting in the wings for some time, and since I had a painting for the cover that my brother Paul rendered a few years ago, the book almost birthed itself and begged to be "out there." An example from Departures entitled "Sister's Blue Baby:"
and only his mother felt. I hope that those of you who read my work will take a look at those people whose "points of departure felt...the faces appearing often enough...[have left] enough of themselves with me." Departures also available online at www.borderpressbooks.com. 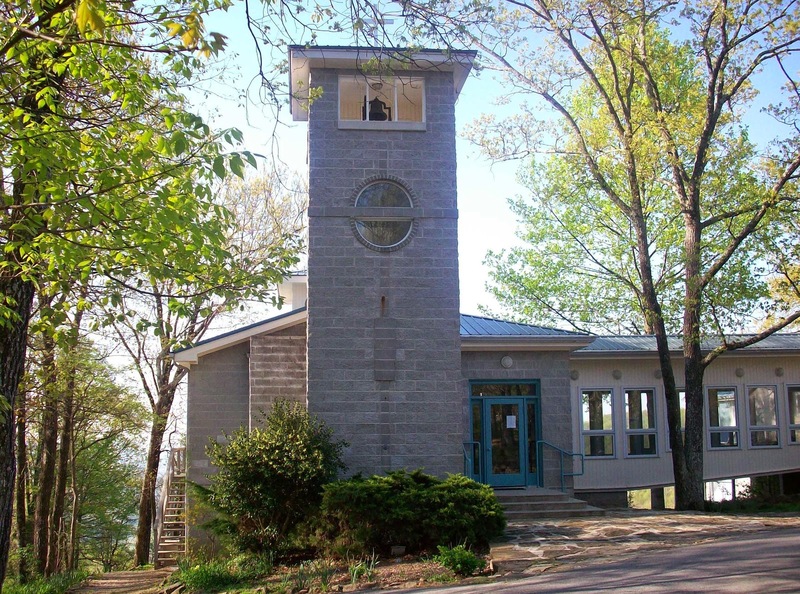 If snail mail is your preference, send orders to Border Press, PO Box 3124, Sewanee TN 37375, along with $12 plus $4 for shipping.